Students admitted to the English MA Program must have a bachelor's degree from an accredited institution (or the equivalent, as determined by the English Graduate Committee), have maintained a grade point average of 3.0 for the last 90 quarter units (60 semester units), and a writing sample. Non-native speakers should also submit TOEFL scores (Test of English as a Foreign Language). 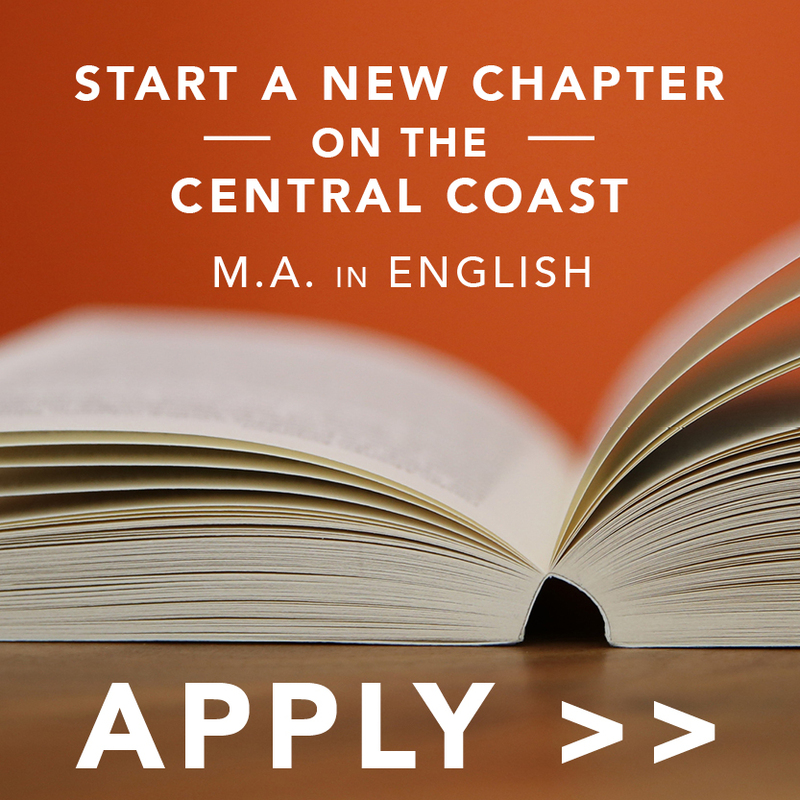 At the discretion of the graduate coordinator, students without an English major may be admitted conditionally, requiring them to take certain prerequisites prior to taking English graduate classes. The prerequisites required of conditionally-admitted students will be limited to 12 units or fewer. Additional 400 and 500 level courses, to be selected from one of the three emphasis areas: literature, composition or linguistics. Students should consult with an advisor to select two pre-1800 literature courses and two post-1800 literature courses in the four required literature courses. a requirement for students wishing to teach composition in the second year. Courses required for the Teaching English as a Second Language (TESOL) certificate. Students who want to take the Single-Subject Credential are required to take ENGL 424: Methods of Teaching English in Secondary Schools (towards the end of their M.A. coursework calendar).